Yesterday Martha and Ben took some of us to Maymont, a large house built in the 1890s here in Virginia. It was built by a rich man who made his fortune on the railroad during a boom in the United States’ economy. We started by walking around the grounds, which included an Italian garden, a Japanese garden, and mini zoo. I liked the Japanese garden best because they had these stone fixtures that I thought were pretty. Does someone know what these are called? They also had these huge stepping stones that crossed a little pond, which were fun. It would be a lovely place to sit and have a picnic in good weather. We then made our way back to the house and took a tour of the house designed to mimic the Victorian lifestyle in England (which was all the rage for the rich during that time). 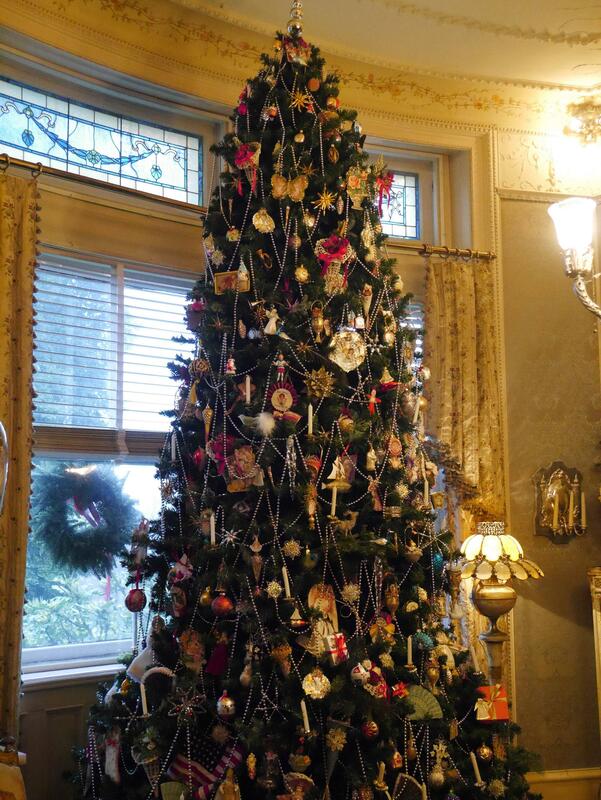 It was filled with Christmas decorations of the time, which were so fun to see. Our awesome tour guide explained how it was Queen Victoria who really brought the Christmas tradition of a tree to England and it was the Germans who helped bring it to America (including the hiding a pickle in the tree!). It was a fun day. Glad you enjoyed your visit! 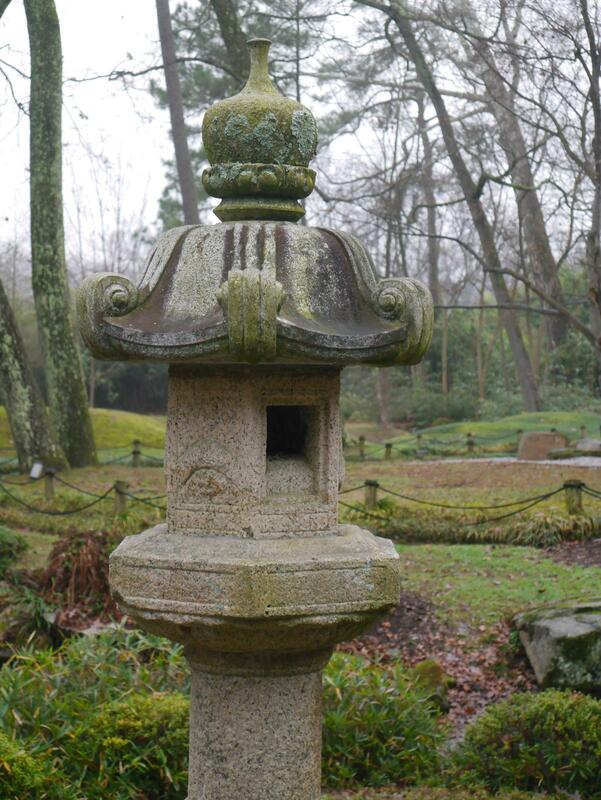 The stone fixtures are Japanese lanterns, and the one in your photo is original to the Dooley estate.